The US Secret Service will have to hold off on hiring new agents for the upcoming presidential election, unless Congress resolves a politicized funding dispute. Any new security initiatives will also have to be placed on the back burner. 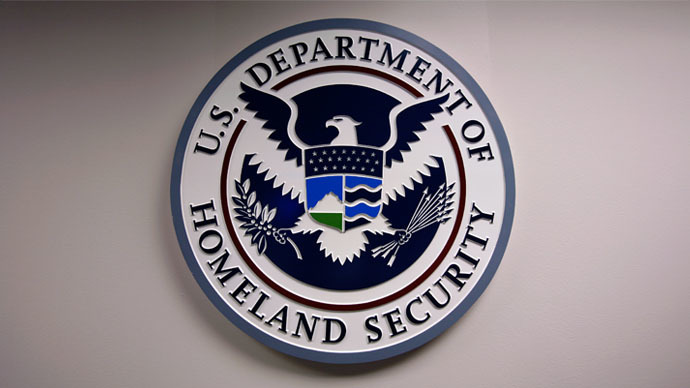 Money woes at the Department of Homeland Security (DHS) prompted DHS Secretary Jeh Johnson to announce Wednesday that until the budget issues are resolved, the agency will have to put any new measures on hold. The agency’s funding is to run out next month. The agency will remain in a limbo state until new funds are approved. "The clock to February 27 is ticking," Johnson said during a speech in Washington. "In these times, the Homeland Security budget of this government should not be a political football." The federal agency, which is responsible for securing US borders and protecting the president, will have to delay implementing December recommendations by a panel on the Secret Service. The review found that the agency was stretched “beyond its limits” and would need to boost hiring and training in order to ensure the November 2016 election runs safely. "We cannot invest in the things the independent panel recommended to improve the Secret Service; we cannot hire new Secret Service agents for the coming presidential election cycle," Johnson said. Congress is entangled in a debate over how to fund the agency. Republicans in the House of Representatives have said they would only approve a funding bill if it includes an amendment to block President Obama’s executive order to provide protection to millions of undocumented immigrants. Meanwhile, the Obama administration has said it will veto any bill that scales back the president’s immigration initiative, which would allow some five million undocumented immigrants to temporarily stay in the country if they came to the US as children, or are parents of US citizens or legal residents. Democratic Senator Barbara Mikulski called on Senate Republicans for a “clean” bill, stripped of the House’s anti-immigration amendments. "Do not play politics with the security of the United States of America," she said. Three former DHS secretaries have also urged lawmakers to remove politics from the funding dispute. “We do not question your desire to have a larger debate about the nation's immigration laws,” they wrote in a letter to Congress. “However, we cannot emphasize enough that the DHS's responsibilities are much broader than its responsibility to oversee the federal immigration agencies and to protect our borders. And funding for the entire agency should not be put in jeopardy by the debate about immigration."